Image Credit: Cassini Imaging Team,SSI, JPL, ESA, NASA Explanation: Mimas is an icy, crater-pocked moon of Saturn a mere 400 kilometers (250 miles) in diameter. Its largest crater Herschel is nearly 140 kilometers wide. 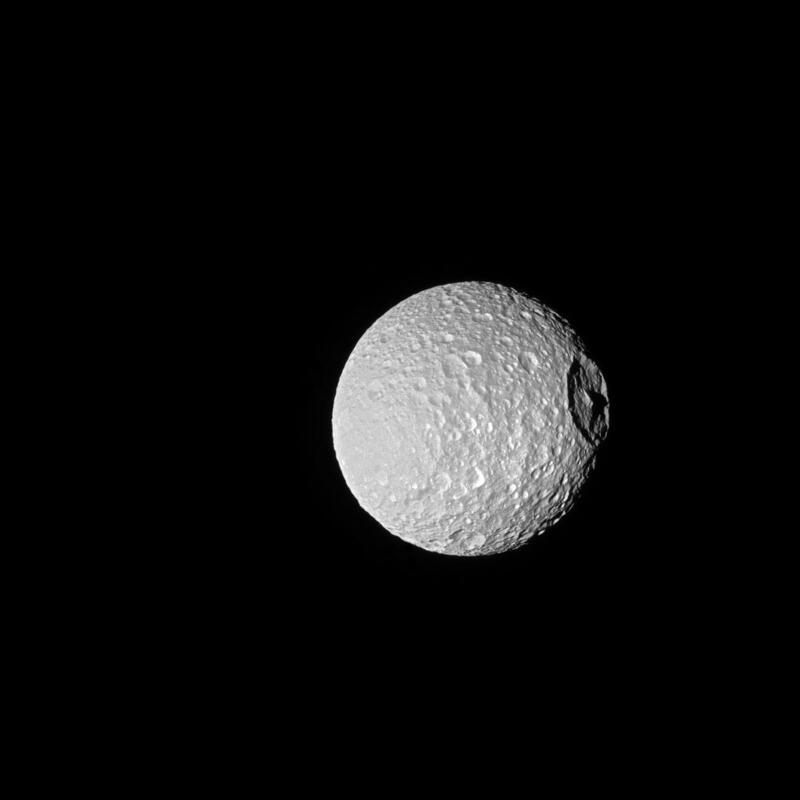 About a third the diameter of Mimas itself, Herschel crater gives the small moon an ominous appearance, especially for scifi fans of the Death Star battlestation of Star Wars fame. 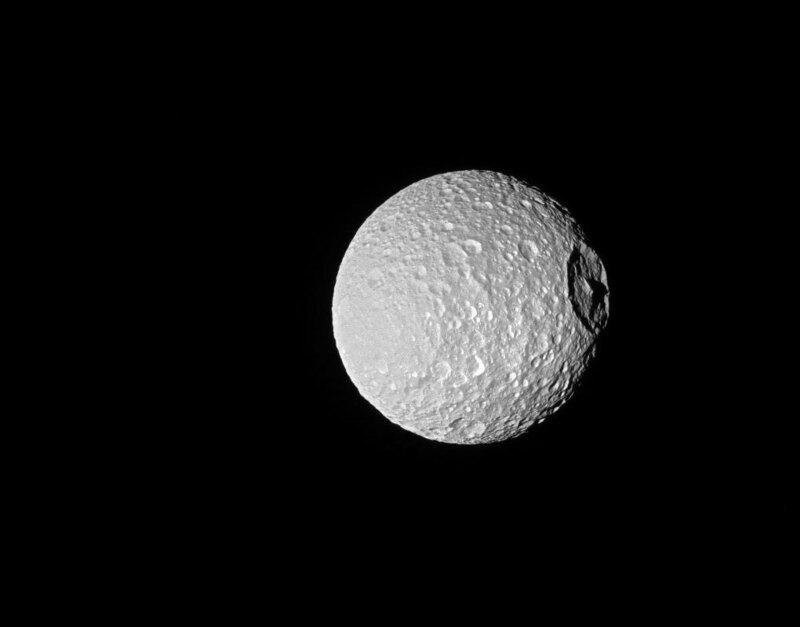 In fact, only a slightly bigger impact than the one that created such a large crater on a small moon could have destroyed Mimas entirely. In this Cassini image from October 2016, the anti-Saturn hemisphere of the synchronously rotating moon is bathed in sunlight, its large crater near the right limb. Casting a long shadow across the crater floor, Herschel's central mountain peak is nearly as tall as Mount Everest on planet Earth.